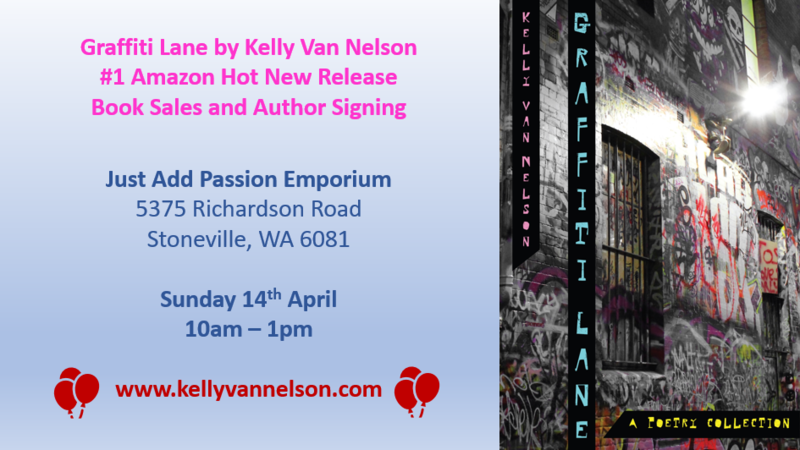 Launching Graffiti Lane around the country has been incredible. 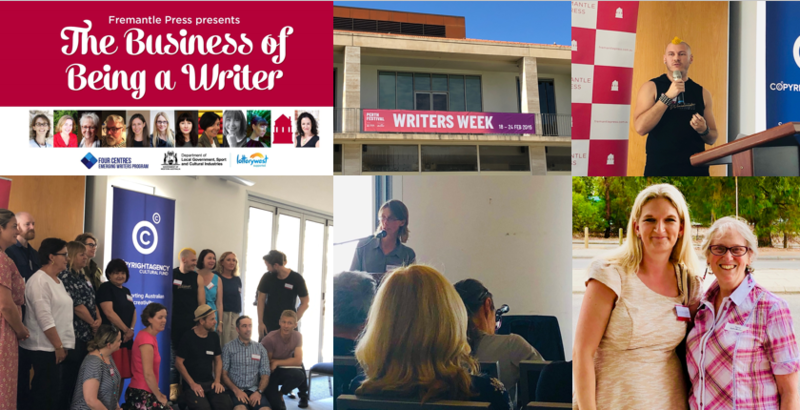 The Melbourne event was the first cab off the rank with a Literary Evening spent with on stage with two other authors, talking about resilience and the power it can have on shaping your life. 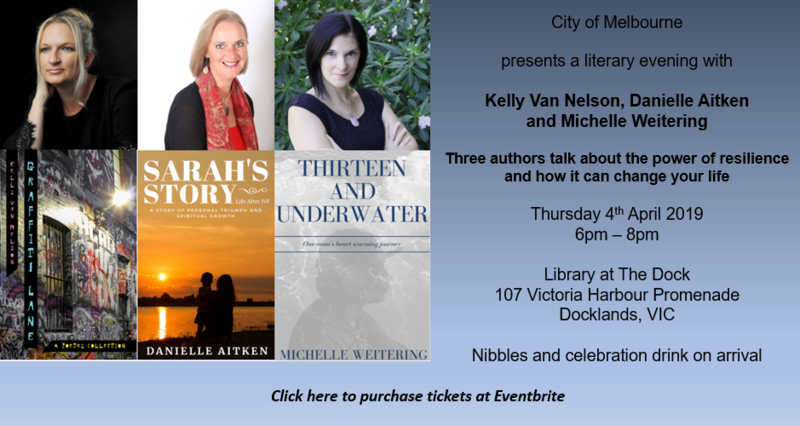 Hosted by journalist Susan Wakefield, I had the privilege of speaking at the Library at the Dock with Danielle Aitken and Michelle Weitering. Each of us shared stories of resilience and overcoming obstacles. 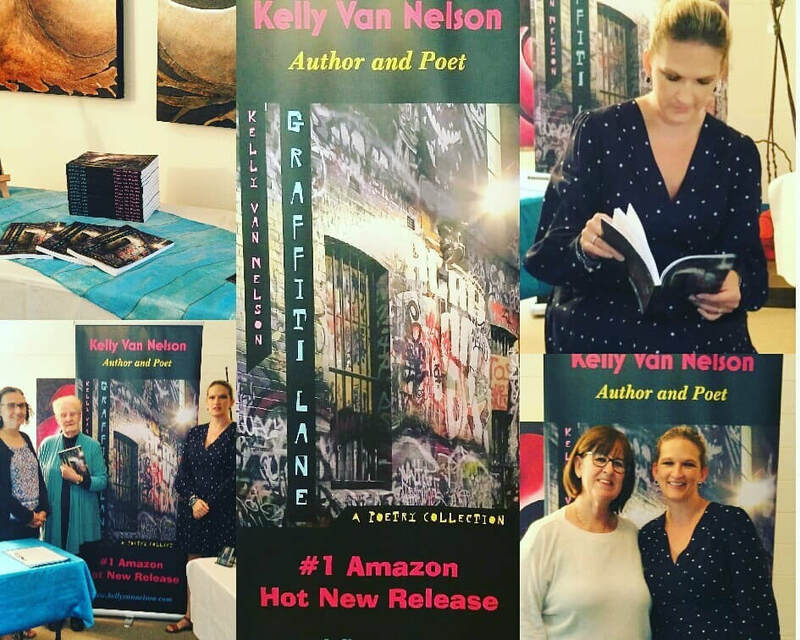 My own journey from being bullied in high school to where I am today is shared through elements of the poetry in Graffiti Lane, while Michelle has written her family memoir relating to her son Jesse's struggle with anxiety after being relentlessly bullied at school. 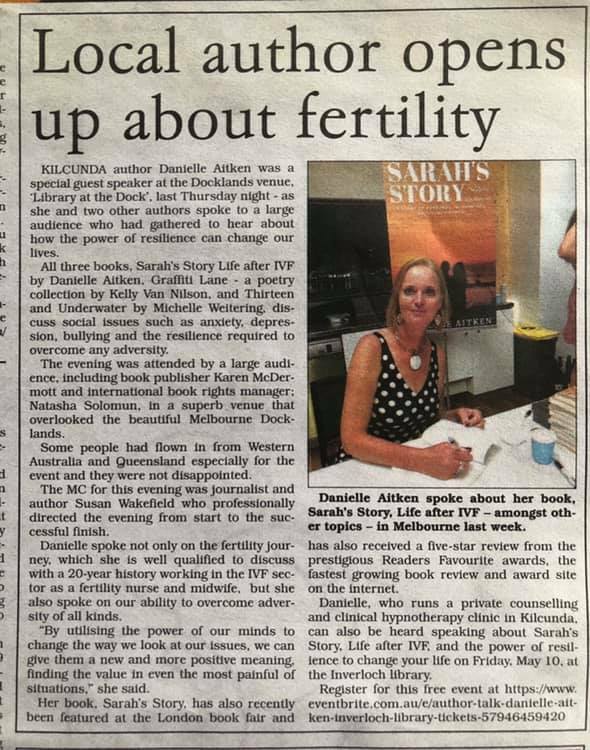 Danielle Aitken talked about the somewhat taboo topic of IVF treatment that has been unsuccessful. 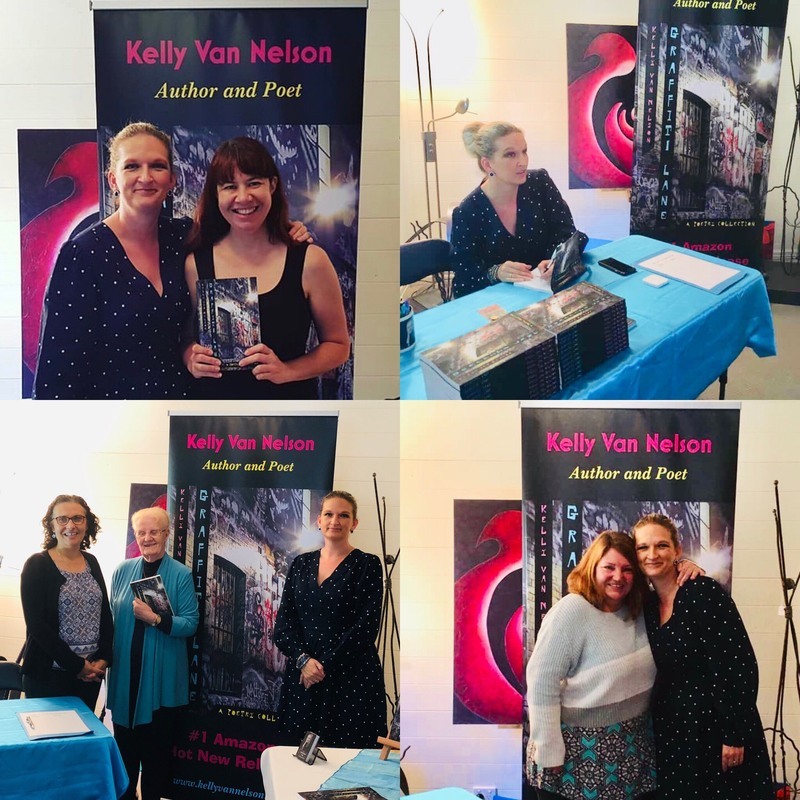 Publisher Karen Mc Dermott flew in from WA to speak at the event and was joined in the audience by international rights agent, Natasha Solomun from The Rights Hive. Local press picked up on the event. 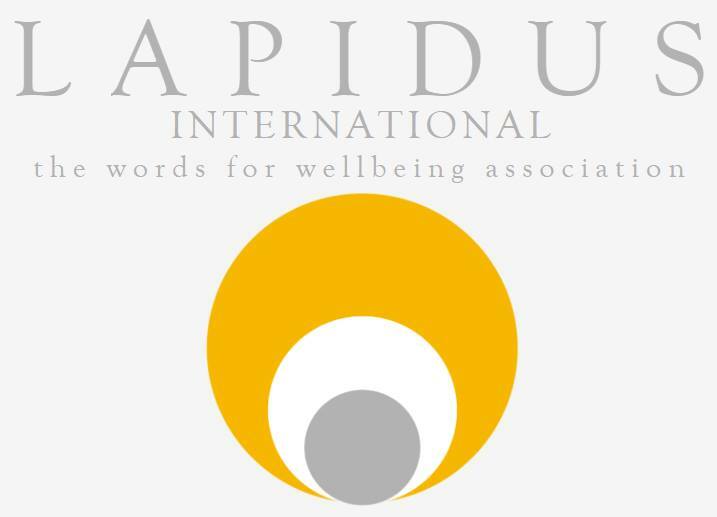 ​Thrilled to have a flash fiction piece shortlisted by Lapidus International, a not-for profit organisation. Lapidus use words and expressive arts to promote well-being and good mental health. The piece about kindness will be published in an e-book later this year with eight other authors. Writing with a cause #fuelforthesoul. Like every writer, I like to squeeze a good book into every spare minute. I devour many, but the ones that tend to stick in my mind the most are where a strong message shines through. I love books that challenge the mind, question morals, and turn the status quo on its head. Here are my favourite recent reads. I was lucky enough to win an unpublished proof copy of this Allen and Unwin gem, due for release in 2018. I lived in Scotland for many years, so the setting of Dundee resonated from the offset. 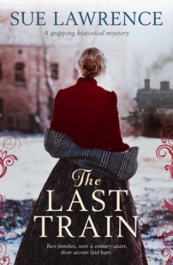 It’s an intricate, well-researched plot, which at it the core focuses on a disaster in 1879 where the rail bridge over the River Tay collapsed, plunging a train and its passengers into icy waters. Anne thinks her husband was on the train, until doubt is cast and she begins to unpick his movements before the tragic accident. It expertly weaves this historical story with the second plot line of Fiona, set in 2015, where her partner suddenly disappears from her life. I devoured this cover to cover in the heart of a snowy winter, while sitting on a train travelling through the UK. Packed with mystery and intrigue, I was gripped with an eeriness I couldn’t shake off until I disembarked. This is a story of modern romance; not a sickly sweet sunset tale, but rather one with the stomach churning twists and turns of a rollercoaster. It’s a reminder that sometimes love makes you want to throw up with nerves, scream at your partner, cling on for dear life, or sometimes simply climb on board to ride it again. No passenger on the journey is the same. 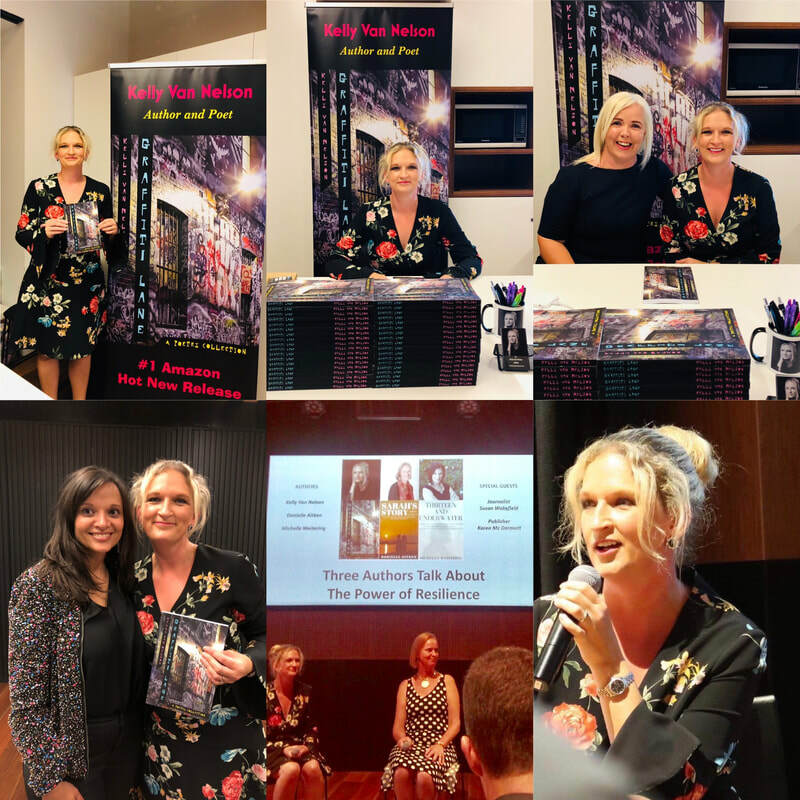 Tess Woods has managed to intricately weave together the lives of four main characters, expertly using multiple points of view without ever losing the reader along the way. The story of Anwar, a character who has you rooting for her right from the start, has a depth of layers relating to today’s complex challenges faced by refugees who are trying to carve a life in a new country. The brilliant contrast of the life lead by Nick, her AFL love interest, is a bold and clever piece of writing that totally pays off. Demands a space on the bookshelf. 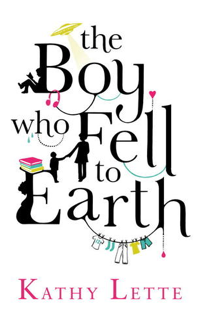 My love for this novel wasn’t beautiful and messy. It was just love, love, love. 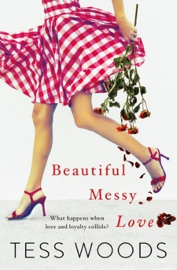 This book tackles such unchartered territory in woman’s fiction that it was always going to be an interesting read. 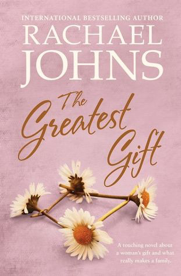 Rachael Johns writes of one woman who never wants to be a mother, and another who so desperately wants children that she seeks out an egg donor. The lives of these two likeable characters collide in an emotional story that draws laughter and tears in equal droves, with a couple of twists thrown in for good measure. Not your average love story, this is a realistic look at couples trying to start a family, written from a new angle. From egg donation to abortion, difficult subjects are tackled with grace and compassion. Not be missed if you like having the heartstrings tugged. 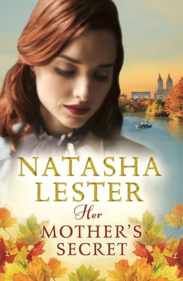 Exquisitely researched setting in both England and New York bring this book up to the top of the pile. The characters are brought to life with immaculate attention to detail, especially in the beautiful clothing and cosmetics of the 1920's era. This is a wonderful story of one woman's ambition to chase her dreams, despite the roadblocks. Leo is a true heroine who inspires women to go after what they want, to fail fast, and to rise strong. Intertwined in the career journey of Leo is the intricate story of a love found and lost, then found again. Makes you want to live in The Great Gatsby period and pull on the most flamboyant frock one can lay one's hands on. Highly recommended. This book came out in 2012, but I missed reading it during its publication year. 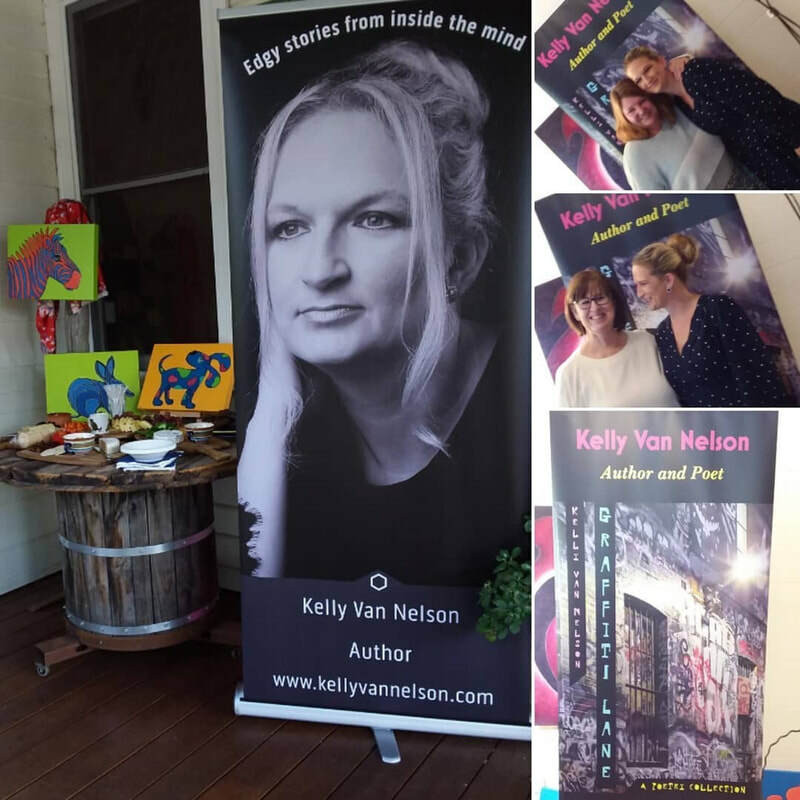 One not only for its target audience of YA readers. I too read this cracker along with my daughter and was not disappointed. Drawing readers in to the sadness of terminal cancer without turning them off is a feat pulled off brilliantly. 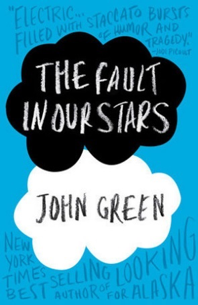 The wry humour used by the author and the strong characterisation in Gus and Hazel pulled this book right up the bestsellers list and I don’t think it has lost any of its appeal. It trundles along at a wonderful pace and manages to deal with death and survival without being condescending. The direct and confronting way illness is spoken of, with no bells and whistles, just calling it how it rolls, is refreshing. 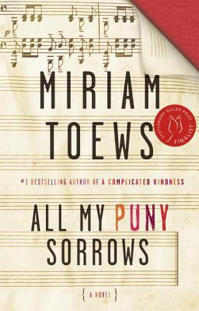 Two sisters from an Amish community take centre stage in this unusual read, where Canadian author, Toews, uses snippets of perfectly executed wit to lift the heaviness of the subject matter. One sister, Yoli, breaks the mould of the culture she was born into. She is a wickedly funny divorcee who is sleeping with all the wrong men. The other, Elf, is a famous pianist whose decline in mental health has driven her to attempt suicide. Yoli’s biggest wish in the world is to keep her sister alive. The two sisters carry one another through to the bitter end and you are left perplexing over why love is sometimes simply not enough. Merlin is a bright and kind boy, who just happens to be autistic. Lucy is his mum, a single parent who is trying to balance the stresses of everyday life and raising a son with Asperger’s with her own needs. There are some wonderfully written lines, especially around the scenes where Lucy launches herself back into the dating world. Amusing and eccentric, this book hurtles along at speed, with so many one-liners you will either love or hate this read in one fail swoop. A different perspective that focuses just as much on the difficulties of Lucy as the character of her loveable son. I enjoyed it. I love to get a boost from non-fiction motivation books and this one is action-packed. 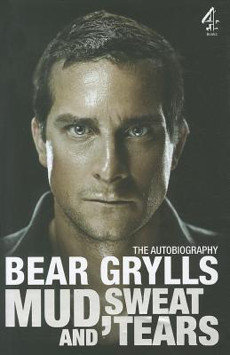 Bear Grylls captures the essence of positive thinking in this quick read that shows how the human psych can be manipulated to achieve incredible results. This is a man who always reaches the pinnacle, overcoming every obstacle that comes his way. From his time in the SAS to rehabilitating from a broken back to climb Everest, you cannot fail but be inspired by the adventurous no-nonsense attitude here. There are not many books I read that also get wolfed down by my husband and children, but this was one of them. Snappy commentary and lively examples of breaking through the ceilings of pain in the great outdoors, this book inspires you to be the best version of yourself that you can be.